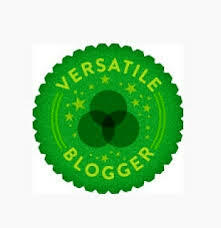 Shanna and Nell have both recently nominated me for the versatile blogger award and it is a real honour to be part of a community of food lovers and bloggers. I started this blog recently and I have always enjoyed cooking healthy food but, I guess it is also a way for me to escape from the seriousness of life and studies, as it is for many of us. But, more importantly, this blog has been a way for me to cope with my new diet and to learn about new ways of cooking. I have, therefore, wanted to share my experiences and my steps through this reinvention so that my cooking could still be as moorish as possible. Writing for My Little Moorish Cooking has already felt extremely rewarding. A great big thank you to all of you kind readers out there who have followed my food adventures and I hope you continue to enjoy my posts. Un grand merci à mes lecteurs. I am working hard to become a journalist… But the fact is there are so many things I would love to do, I am afraid one life may not quite be enough ! I ate my first oyster at the age of 2. I am a bit of a leader, especially in the kitchen. My moto in life is “Aim for the moon, if you miss you may end up in the stars”. Throughout my studies of Politics, History and Spanish, I have developed a big interest in the Spanish Civil War and I wrote a long dissertation about Picasso’s Guernica. I have a bit of a thing for strawberries… And one of my great sadness in life is that my birthday is in winter so making a ‘Charlotte aux fraises’ turns out to be rather difficult. You’re welcome. It feels great to be part of a food blogger community…. Especially when it comes to gluten free! Merci beaucoup pour cette nomination 🙂 en se moment je suis en retard pour tout et j’ai beaucoup de mal à tout gérer ,aussi je ne répondrais pas tout de suite à cette nomination ! j’espére que tu ne m’en veux pas ! je te remercie encore une fois d’avoir pensée à moi ! Et je comprends très bien tes contraintes de temps, je suis dans la même situation… Et pourtant, je rêve de pouvoir hiberner tranquillement ! Congratulations! 🙂 Well-deserved. I also aspire to be a journalist – love the DPS movie – and studied Guernica and the Spanish Civil War / history / Spanish at university. We have a lot in common! Keep up the fantastic blogging. I’m honored to be included with other amazing bloggers — many of them new-to-me! That’s what I love about social media, all of the new connections. I’ll be following along, thanks again! Hope to see you around soon again !